Mercedes-Benz is a luxury automobile manufacturer that includes cars, trucks, coaches and buses. They eventually came under spotlight under Daimler-Benz in 1926. The headquarter is located at Stuttgart in Baden-Wurttemberg, Germany and their origin can be found in the creation of Karl Benz's car that was run by petrol. Benz Patent Motorwagen is credited to patent it in 1886. In 1998, Mercedes-AMG constituted their major division, while in 1999, they were sucked into DaimlerChrysler and were rechristened into Mercedes-Benz AMG. From 2003 to 2009, they were even engaged in manufacturing of a limited edition of cars for sports, in collaboration with McLaren Cars. There are currently 1 consumer reviews about Mercedes Benz available. Share your review. I have a 2007 mercedes cls 550 that I bought from another dealership. I took my car to the house of imports on 4/15/13 for an oil change. I also asked for a multi-point inspection which was free. The service advisor (Jag Reyatt) was very helpful and informative. Based on the work order for the car, tires were checked and they recommended I replace them. The cam plugs and centrifuge oil cover were leaking oil. Recommended replacement. They also said the transmission has a whine noise coming from the transmission pump/ torque converter. They recommended removing the transmission and tearing it down for inspection. They also recommended air filter replacement and brake fluid flush. And also recommended to replace the spark plugs. Needless to say I appreciated the very informative "free" information I recieved regarding my vehicle. I took the vehicle home as it was and left only with an oil change and filter change. By my next visit I had already had the front brakes, spark plugs(done a week prior to second visit), air filters, cam plugs and centrifuge oil cover repaired and replaced with genuine parts from house of imports. But my car loss power on 7/17/13 so I had it towed to house of imports. I was rushing to work so I stopped home and got one of my other cars(BMW 740il). I left the key with the attendant and filled out the after hours drop off from since I was in a rush and didn't have time to talk to a service advisor in person. I specifically wrote "DIAGNOSTIC" on the form in regards to services to be rendered. The next day I spoke to a service advisor named George Chala and he said my alternator was basically failing(overcharging the battery or what not). He also recommended I change the battery. I paid the $315.00 for the diagnostic and thought wow really? So no more transmission whine? No brake fluid flush? Car must have magically fixed itself! So I took the car somewhere else and had the alternator and battery replaced with oem parts. All was well until 7/20/12 when I noticed the vehicle was very low on the drivers front wheel. Obviously an airmatic issue. So I went to house of imports and talked to the service advisor George about the situation. I felt like house of imports did not do a very thorough "DIAGNOSTIC". I asked if the car was actually visually inspected at all. And I also asked why my previous paperwork states I have a transmission whining issue but my new paperwork from the "DIAGNOSTIC" I paid $315.00 for says nothing of the sort. The service advisor George Chala did not answer my questions. He said" You brought the car in to see why it was not running and we diagnosed that". I asked him what a "DIAGNOSTIC" actually consist of? Again no answer. He printed up the Initial quick test log paperwork for my car and showed me that the computer didn't detect any issues with the airmatic system. I saw the paperwork and understood the fact that the star diagnostic system did not see any faults. But again I asked, "what does a DIAGNOSTIC consist of"? Because when BMW (next door) does a diagnostic on my 740 they tell me every issue that pertains to the car. From a leaky valve gasket to a nail in a tire. The service advisor George Chala did not answer any of my questions. He got frustrated and asked me what I would like for him to do. I told him I would like an actual "thorough DIAGNOSTIC" to be completed on my car. In regards to the airmatic issue I honestly already had the problem diagnosed and the car is being repaired. But who wants to pay $315.00 for a half done job when you can get better advise for free? Long story short, the service advisor George Chala said he could no longer deal with me and told me to leave his office. I am a 30 year old african american male and honestly think my nationality may have played a role in the service advisers decision making. Feeling very disrespected and cheated along with humiliated, I said a few obscenities and left the office. So did George Chala. I asked him if I could speak to his manager but conveniently, he was on "vacation" for a week. So I went back to the service offices and asked the helpful guy Jag Reyatt to direct me to the service managers office. Once I got there I spoke to the service manager Sam Harp. He pulled up the records for my vehicle. I told him the scenario and asked him the same questions I had asked George Chala. Sam Harp told me the same thing. The diagnosis was to find out why the car was losing power and not running correctly. I asked Sam Harp what a DIAGNOSTIC actually entails because I was under the impression that a diagnostic on a vehicle was a service that is provided to inform the customer of any issues with the vehicle. Sam Harp told me to look up the definition on google. I found that to be pretty rude. Then he simply said "have a nice day". I cant help you. Leave my office. So he to earned a few obscenities from me. He then said if did not leave he would call the POLICE. So I left in my CORVETTE and burned rubber through the whole service bay. Since I am a young african american guy I get treated like a second class citizen by house of import employees. But that is where your wrong. This time you picked the wrong one. As I told these sorry service advisors, it is not about the measly $315.00. It is about the service, and the treatment of the vehicle. The customer is not always right. But if you are young and african american at house of imports, you definitely aren't right. I have never received such crappy treatment. I asked to speak to someone above Sam Harp but to no avail. Do I need to pay extra to actually have my questions answered? I will never deal with this place again. And Im emailing this to corporate, Mercedes Benz of North America, the BBB, and others. Please take a note that you are about to post a public review about Mercedes Benz corporate office on CorporateOffice.com. This review will be public, so please do not post any of your personal information on this website. 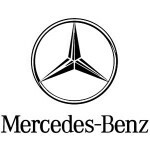 If you would like to contact the corporate offices of Mercedes Benz, please use their contact information such as their phone number, website, and address listed above to contact them. However, sometimes staff from Mercedes Benz headquarters do read the reviews on this website.